At UofT Music, our composers are heard. This is true for our students and graduates as well as for our composition faculty. In addition to studio and small class instruction, the composition program features courses in areas such as counterpoint, orchestration, specialized instrumental techniques, electronic and computer music, composing for film (including silent film) and other media, song writing—besides courses examining various compositional techniques and musical styles. Student composers need performance opportunities, and we build them into our program: through strong support from our studio teachers and chamber coaches, the composers-in-residence assignments to our major performing ensembles, including the contemporary music gamUT ensemble, and even original opera compositions fully-produced each year in conjunction with our New Music Festival. The annual Karen Kieser Prize includes a professional performance of a chamber work, and UofT resident ensembles such as the Cecilia String Quartet issue calls for student works. As a result, our composers are ready for the broader world of contemporary composition that connects them with dedicated performers, leading arts organizations, and audiences. 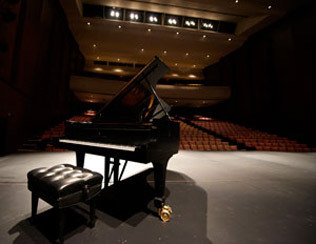 The composition faculty offers both a major and a minor in Composition within the Mus.Bac. program. Students interested in pursuing these options normally audition at the end of their first year of study, but direct entry into composition in the first year of the program is available for a limited number of students. Those students selected for the major or minor in Composition receive weekly private instruction, and all are expected to participate in the series of workshops and presentations known as the Composer's Forum. The Faculty of Music also hosts several guest composers each year. At the graduate level, both the Master of Music and Doctor of Musical Arts degrees are offered.